Bureaucrats botched the rollout of big changes to health care coverage for state workers, yet Governor Charlie Baker (above) managed to dodge much of the blame. 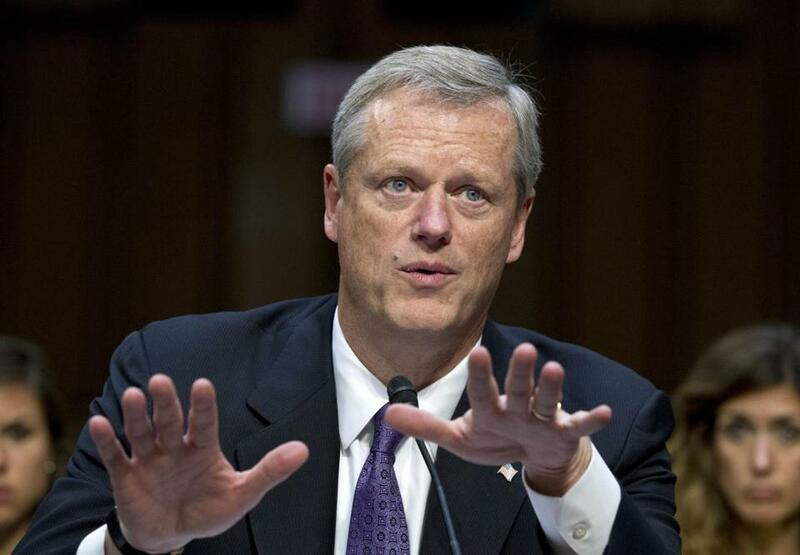 Harry Houdini and David Copperfield have nothing on Charlie Baker. Bureaucrats botch the rollout of big changes to health care coverage that affect hundreds of thousands of state employees and could have resulted in layoffs at a local insurer. Yet the governor manages to escape much of the blame, as if the agency making the decision went rogue, as if he didn’t appoint half of the board overseeing the agency, as if he doesn’t know how health care works. It’s a great act — and a necessary one in an election year in which President Trump makes any Republican running for reelection nervous. Even the most popular governor in America can’t afford to pay the political price for public missteps. But c’mon, does anyone believe Baker didn’t know what the Group Insurance Commission’s board was up to on Jan. 18 when it voted to cut in half the number of commercial insurance carriers available to 442,000 state employees, retirees, and their families? And if he really didn’t know, shouldn’t he have? Here is a governor who not only professes to love being in the weeds of policy but also used to run a health insurance company. On Thursday, the GIC board is expected to reverse its decision after a public outcry. And just like that, Baker can walk away as the ultimate master of plausible deniability. How so? Since the board dropped its bomb, Baker has frequently referred to the commission as “they” — as in “they need to take seriously the blowback.” And when he calls the rollout “flawed,” he acts like he’s some kind of innocent bystander. This is a quasi-state agency that his administration effectively controls, managing health benefits for a large chunk of the state’s workforce. The governor was at it again on Monday, during his monthly appearance on WGBH’s “Boston Public Radio” show. But this time, the more he talked, the more he seemed to dig himself into a hole. Of course, Baker knows the players involved — and by extension he should have known what was going on. Michael Heffernan, Baker’s secretary of administration and finance, also sits on the 17-member board, which is primarily appointed by the governor. The GIC is housed under the state’s Executive Office for Administration and Finance but is not overseen by it; still, the two agencies work closely together. Baker has said that he was briefed on the final proposal for changes two days before the controversial vote. The commission had been working on a plan for months, as part of an effort to hold down health care costs for employees and the state. The approved plan was to take effect in July and was expected to save $20.8 million in the first year, by eliminating commercial plans from three popular Massachusetts-based insurers: Tufts Health Plan, Harvard Pilgrim Health Care, and Fallon Health. So let me get this straight. A board controlled by the governor didn’t know what it was getting into, yet went ahead and voted for changes that caused mass confusion, sparked an outcry from public employee unions, drew an investigation from Attorney General Maura Healey, spurred a Senate hearing, and prompted House Speaker Bob DeLeo to create a special committee to examine the controversial changes. Of course, if some board members felt blindsided by the major changes, perhaps the commission could have postponed the original vote. Baker, to the surprise of no one, supports the agency’s about-face. He has to. Public employee unions are riled up, and on Tuesday night they held a rally to push for greater representation on the commission. Baker needs every vote he can get, even from Democratic-leaning unions. “I am glad they decided to step back,” Baker said. It was only at the end of the seven-minute exchange with hosts Jim Braude and Margery Eagan that Baker seemed to get it. Oh, how great is it to be Charlie Baker. When the GIC reverses course on Thursday, he will once again escape criticism.